The dotty border and sentiments are all from the WTF Stamp Set. I embossed the "WTF!" sentiment onto a vellum strip and placed it over the "Who's Turning Forty?" sentiment. I think it's a fun effect. And I added some sequins to amp up the party feel of the card! A bunch of my neighbor friends are turning 40 this year, so this stamp set will get a lot of use as I build up my stash of birthday cards! 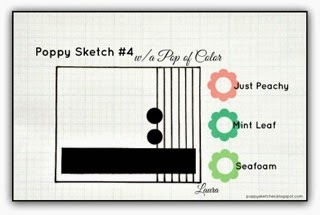 Be sure to check out the Poppy Sketches Blog for all of the challenge details and for more inspiration from my fellow DT gals! Hope you'll play along with us!!! My FAV CAS-ual Friday set...love this! wow great take on the sketch.. 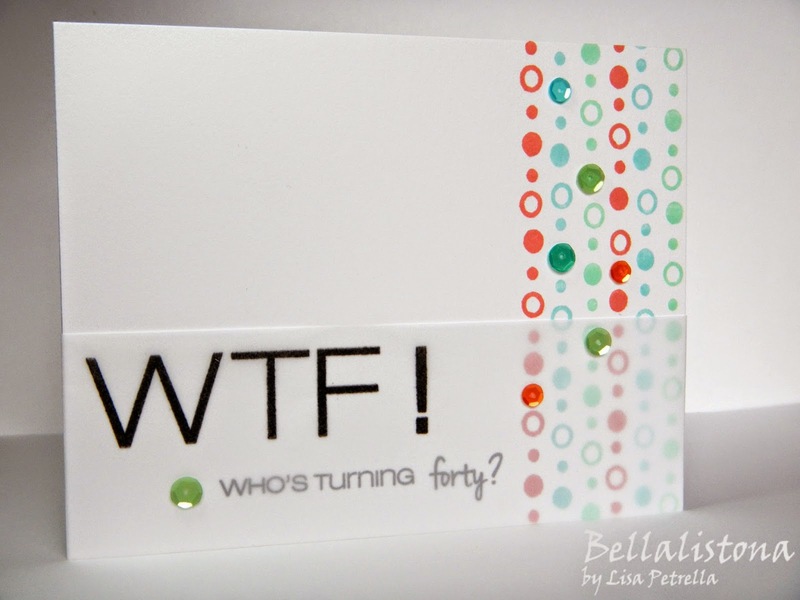 I totally love it..
What a fun card Lisa, love all the little circles! Too fun! Love the sparkly sequins mixed in with the dotty border image. Love this, the circle border with the addition of the sequins is FAB! This is such a great card, clever, funny and so awesome! I spit out my coffee when I saw the WTF!! Too funny!